VirtualBox is a free and opensource hypervisor for x86 computers. 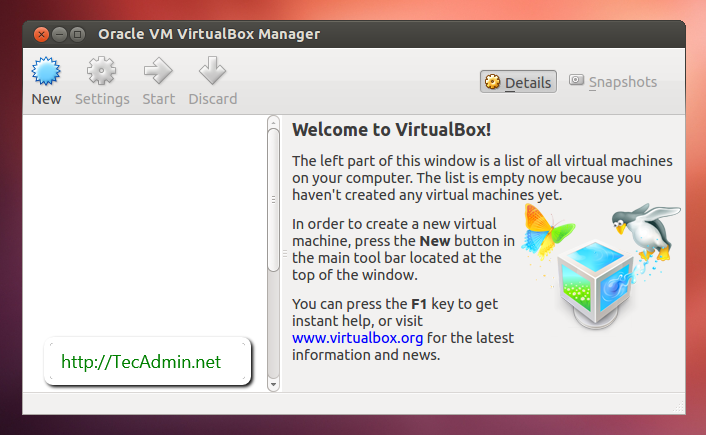 You can easily install VirtualBox on a Debian Linux system with simple steps. The Oracle provides official PPAs for the installation of VirtualBox on a Linux machine. This article helps you to install VirtualBox on Debian 8 (Jessie) Linux machine. Login to your Debian server with a root or sudo privileged user and update current packages of your system to the latest version. sudo add-apt-repository "deb http://download.virtualbox.org/virtualbox/debian jessie contrib"
You are required to import VirtualBox packages signing keys to your Debian system before installing it. These commands to import both keys to your system. You are ready now to install VirtualBox on a Debian system. Run the following commands on the terminal to complete the VirtualBox installation on Debian system.